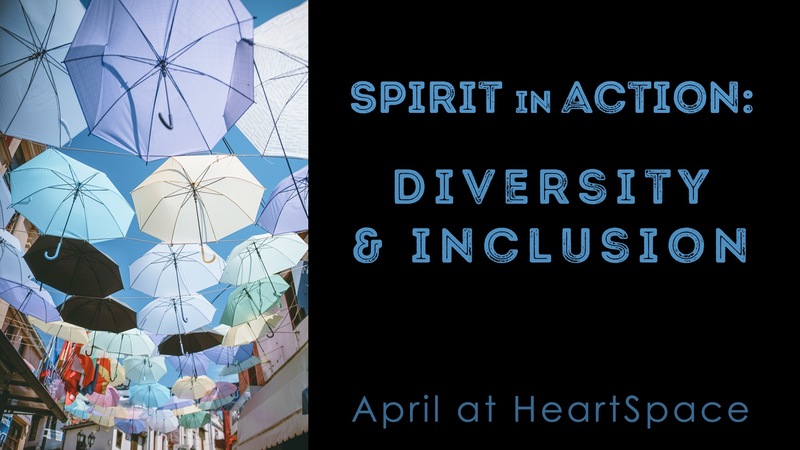 At HeartSpace, we honor diversity every week, and say that all are included and welcome. This month we’ll focus, along with other Centers in our organization, to “Promote Diversity and Inclusion”. We’re using the book written by our beloved Tracy Brown, entitled “Stained Glass Spirit“, and Tracy will join us on April 7 to kick us off. During the month, each person attending will receive an inspirational booklet filled with daily quotes and affirmations useful in taking the month’s theme to a deeper level. Join us on the journey of expansion and discovery!